I can never link to many of what I'm wearing in these posts, but these are all pretty basic things that shouldn't be too hard to find similars of. 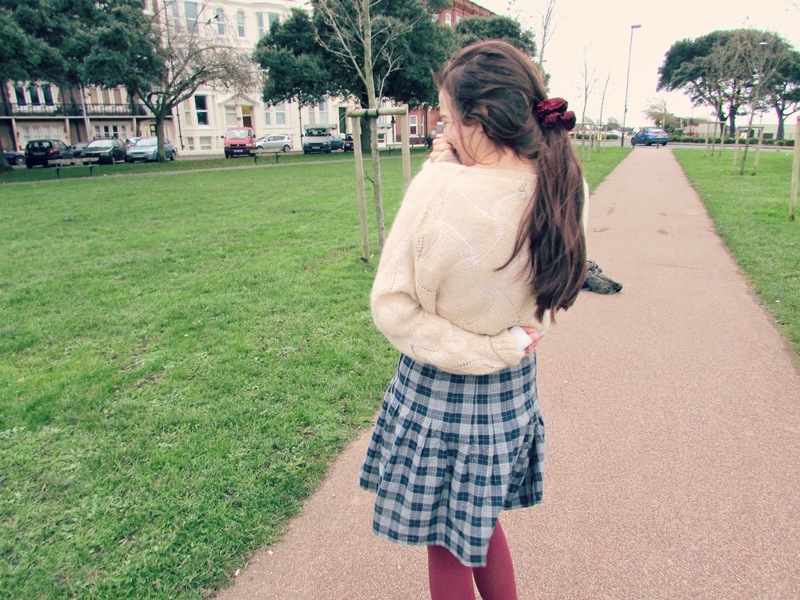 The tartan skirt is perfect, it was from the Urban Renewal section of Urban Outfitters in Bluewater and it's so perfect! 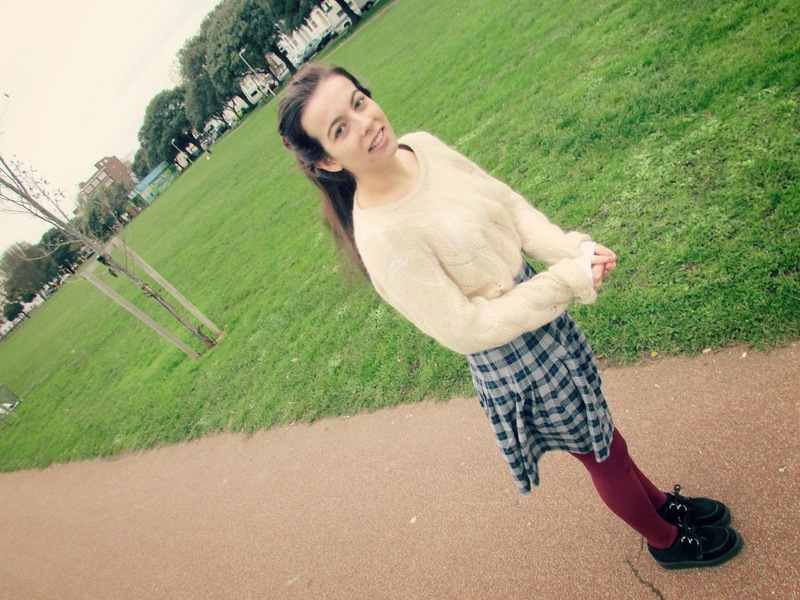 I spent months looking for the perfect tartan skirt and I'm so glad I waited for this one. It's high waisted, which I love, and is the perfect just above the knee length. And I love the colour! I love these red tights as well, they're less harsh and less boring than plain black (I swear I'll stop talking about tights one day...). I picked up a few hair scrunchies for about 30p each at a car boot sale ages ago! Best purchase ever! They are all super cute but they also hold my thick hair up better than any elastics, which I am forever snapping. And these were even cheaper than a set of hair elastics would be! This is one of my fave outfits at the moment, and probably will be for the next winter, and the winter after that, and the winter after that and... you get where I'm going. Basically it's super snuggly and warm and cosy and cute, yay! Love your creepers!! Ive never bought a scrunchy in my life but I think Im going to have to now since Im ALWAYS snapping elastics as well hahah MERRY CHRISTMAS!!! I love this outfit! Anything with burgundy in it is a win for me. I hardly even link to things, because everything I own is old or bought in the sale and then sold out... I'm such a cheap skate.